that I have added as favorites during February 2011. 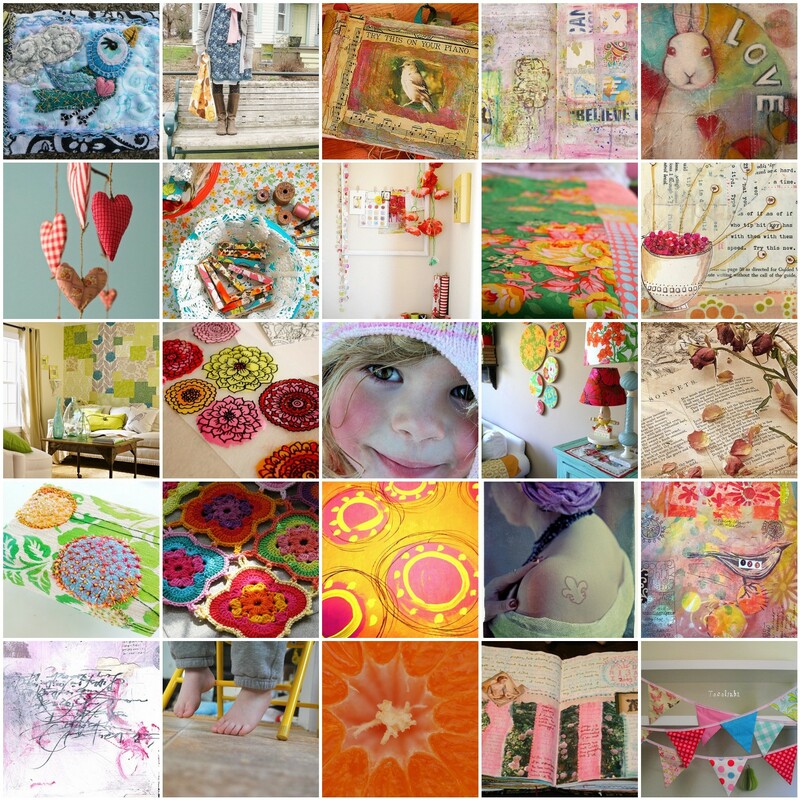 The Flickr Mosaics I make are all created using Mosaic maker, a free site that I adore. You can view original (maybe set it as desktop background for March). thanks for including my doodle! Thanks for letting us download your inspiration mosaic – I love to have your inspiration mosaics on my desktop at work! They give me bursts of ideas in between boring office tasks and remind me of the great stuff outside of my uncreative job! Thank you! Bonnierose, thanks for sharing your lovely work online! Melanie, thanks for letting me know you use my mosaic at work – what a great idea to keep you inspired throughout the day! Have a great week! There’s so much unbelievable talent out there…thanks for sharing! I always find something to be inspired by when I come by your blog! I’m really drawn to this. I’ve been enjoying your mosaics for ages now and this one is definitely my favorite. It’s so happy. It is joyful inspiration. What a beautiful mosaic again! Your pink yarn sounds wonderful–what a cheerful scarf that will be. Thanks for sharing this great inspiration! What a happy montage you’ve created for us all. Thanks! Much needed on this cold and dreary winter day. Perfect! beautiful! your mosaics are always so colorful and inspirational. thanks for including my art journal, too! thanks hanna for drawing my attention to your inspiration list, it’s lovely! really enjoying the colors and intention. have a happy march! I love it that you do this! Flickr is so filled with great things. A person could just float in there for hours. I love my Flickr buddies.